Product description The data correspond to the INSPIRE Directive for the theme Administrative Units (AU) and ELF Data Specification version 1.0. Data are based primarily on the project RÚIAN (register of territorial identification, addresses and real estates), which is part of the Basic Registers of Czech Republic and contains information about identification, addresses and real estates. Data published in the INSPIRE harmonized dataset on Administrative Units contain only administrative units, their boundaries and statistical units NUTS 1 and NUTS 3, which are on the same level as the country and region in the Czech Republic. Administrative units are country, regions, districts and municipalities. The data set covers the whole area of Czech Republic. Administrative boundaries are routed between common boundary points of three administrative units at the lowest level of division, ie. municipalities. More in the Act no. 111/2009 Coll., on the basic registers, in Decree no. 359/2011 Coll., on the basic register of territorial identification, addresses and real estates in the current versions, in the INSPIRE Data Specification on Administrative Units v 3.0.1 from 2010-04-26 and in ELF Data Specification v1.0. 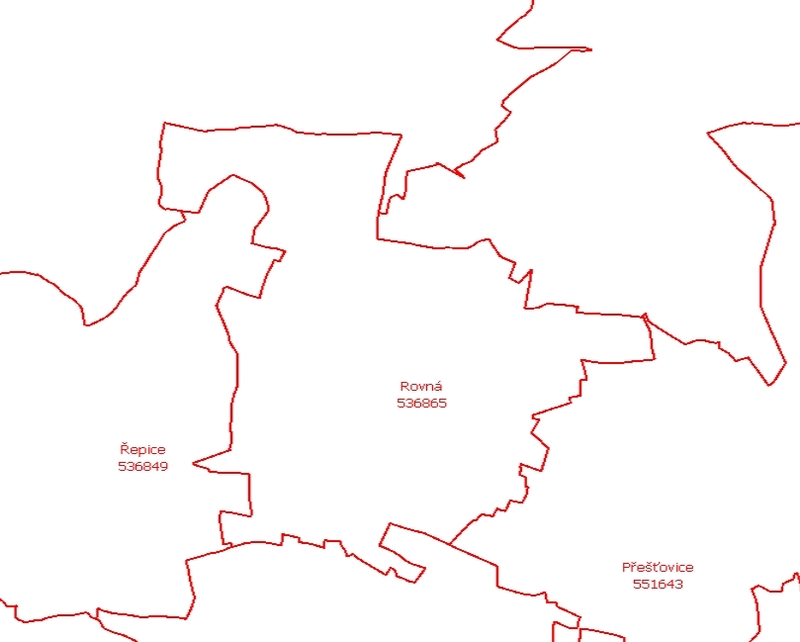 Municipality Strýčice is missing in the data, because it has no Cadastral zoning. Data in the GML 3.2.1 fotrmat are valid against XML Definition Schema for the theme Administrative Units in version 4.0 and spatial data scheme for ELF in version 1.0.